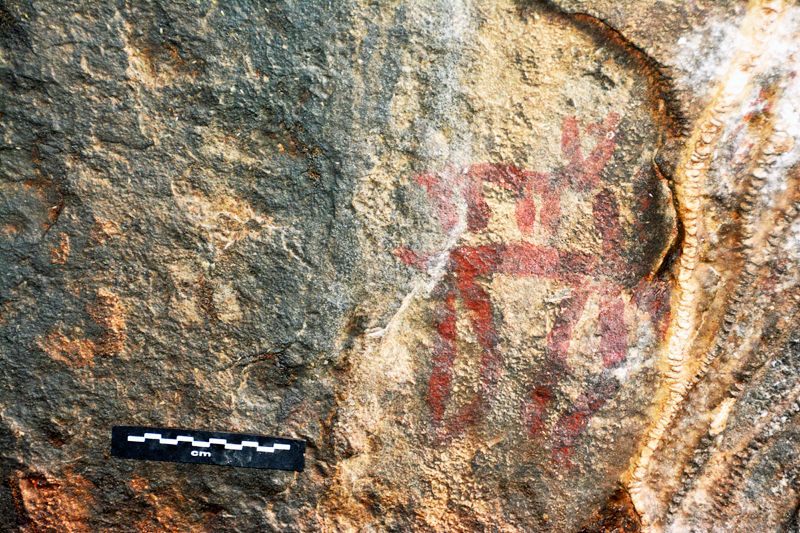 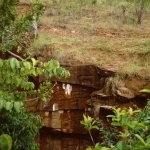 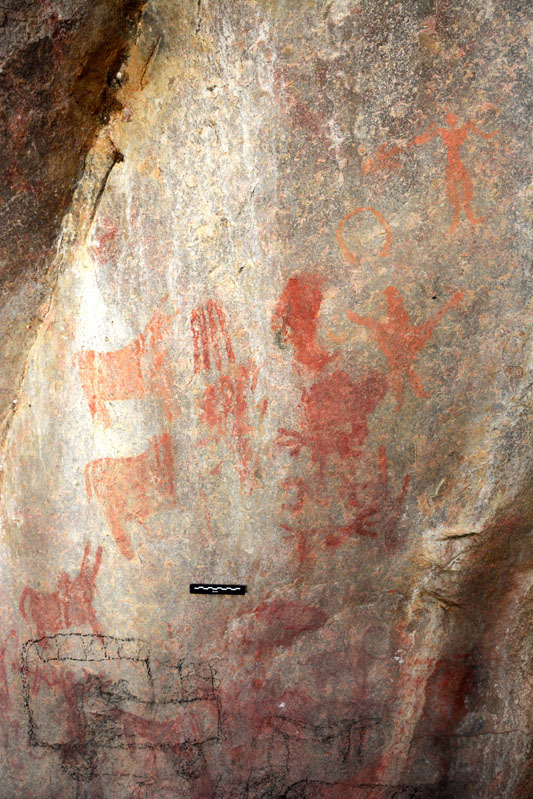 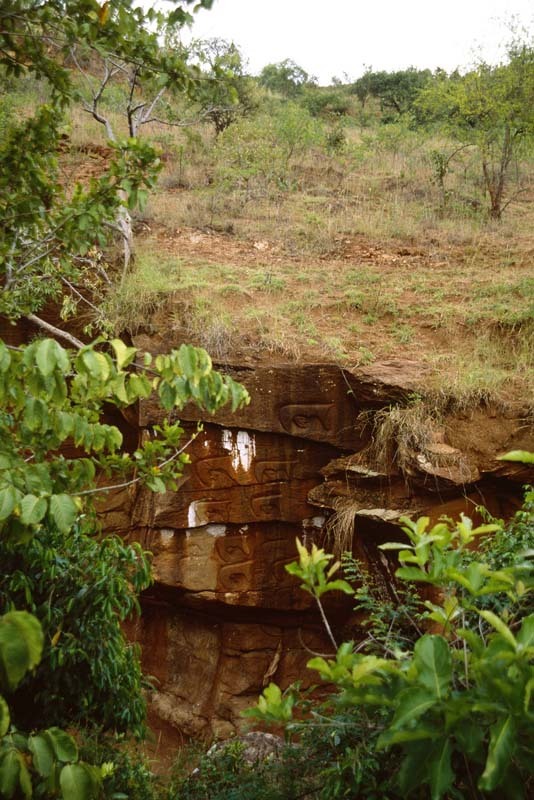 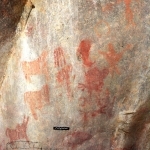 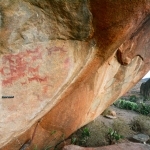 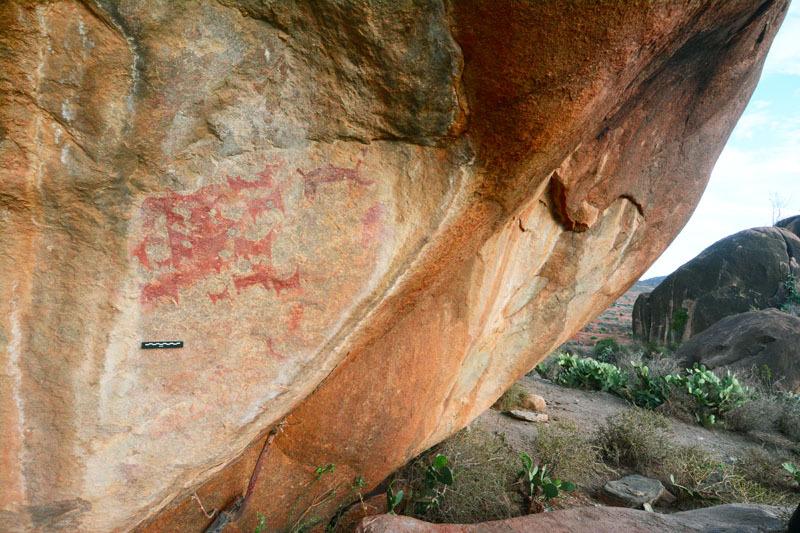 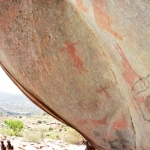 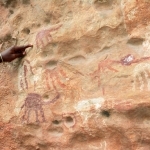 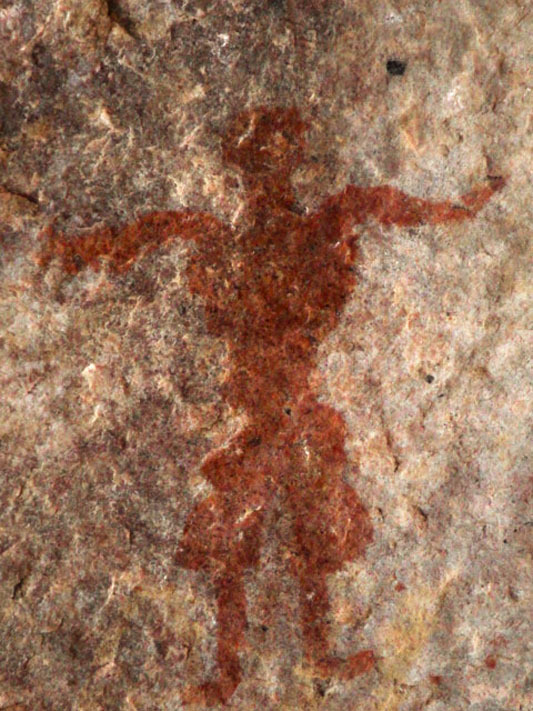 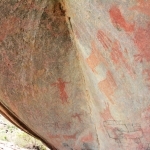 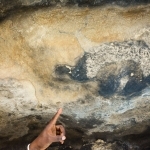 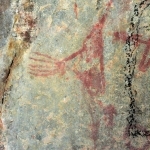 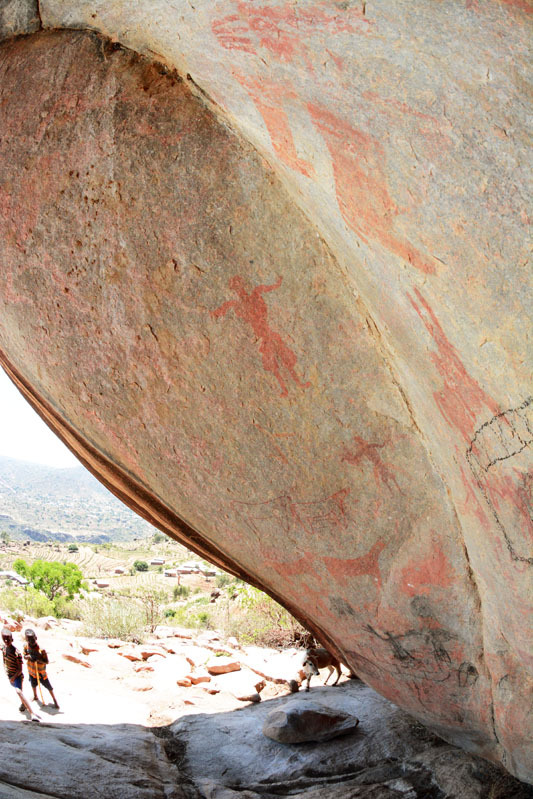 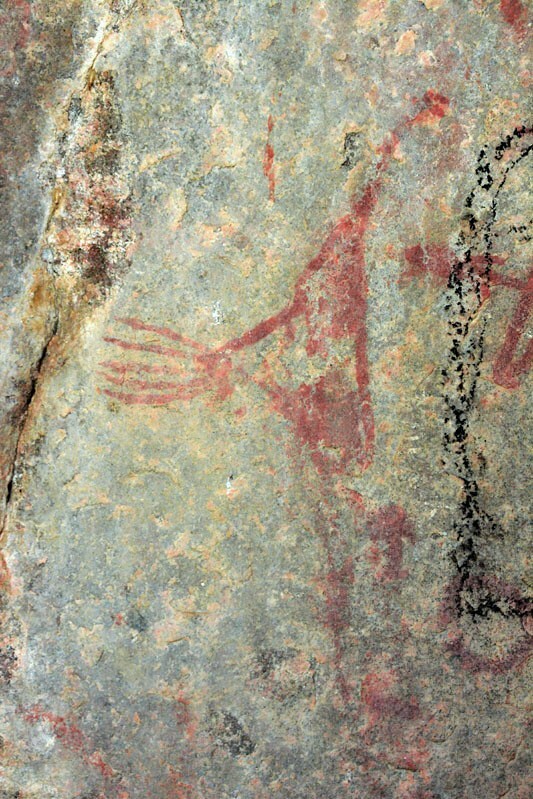 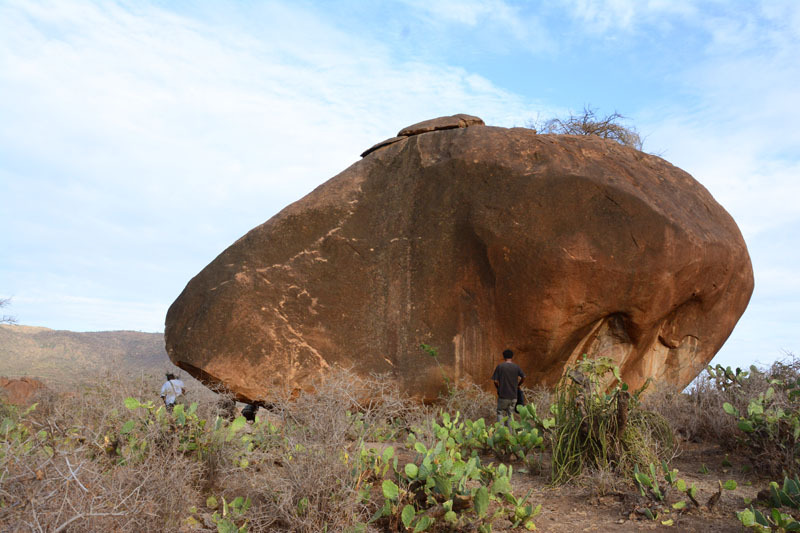 Southern Ethiopia contains few paintings but many rock engravings and carvings including remnants of megalithic cultures in the form of tall phallic monoliths sometimes several metres high and some large anthropomorphic monoliths. 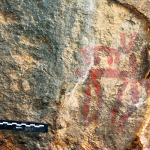 The latter are thought to be between 3,000 and 2,000 years old, while other grave-marker monoliths (stelae) decorated with human faces, rams’ horns and geometric designs may date to around 1,000 years. 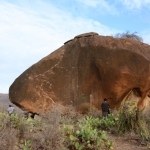 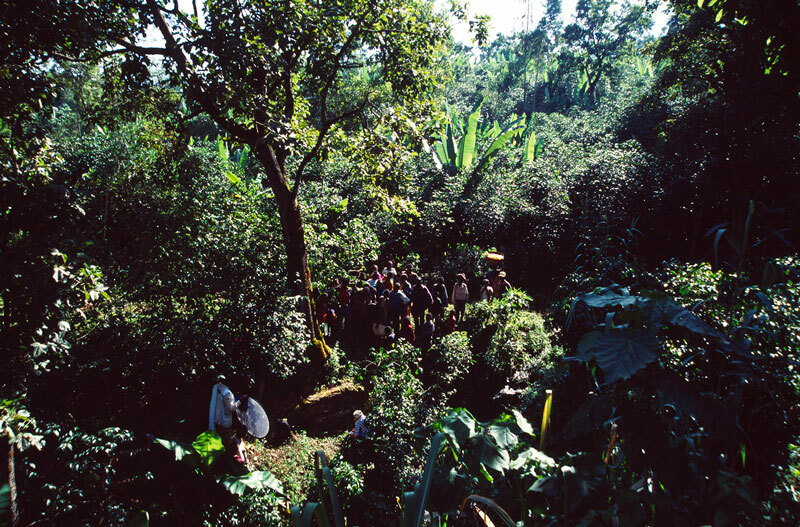 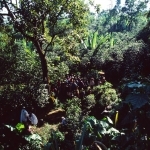 Of greatest significance is the Tiya megalithic site located south of Addis Ababa. 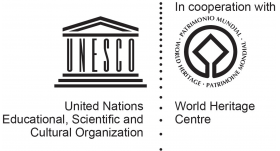 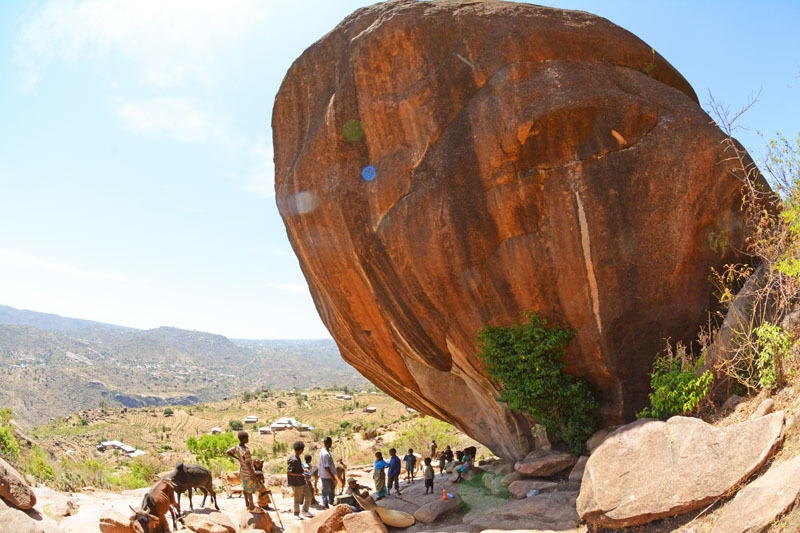 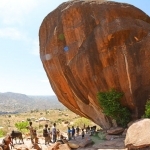 The site contains 36 monuments; remains of medieval Ethiopian culture dating from the 12th to 14th centuries and is a UNESCO World Heritage Site (Cultural Landscape). 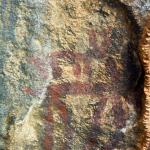 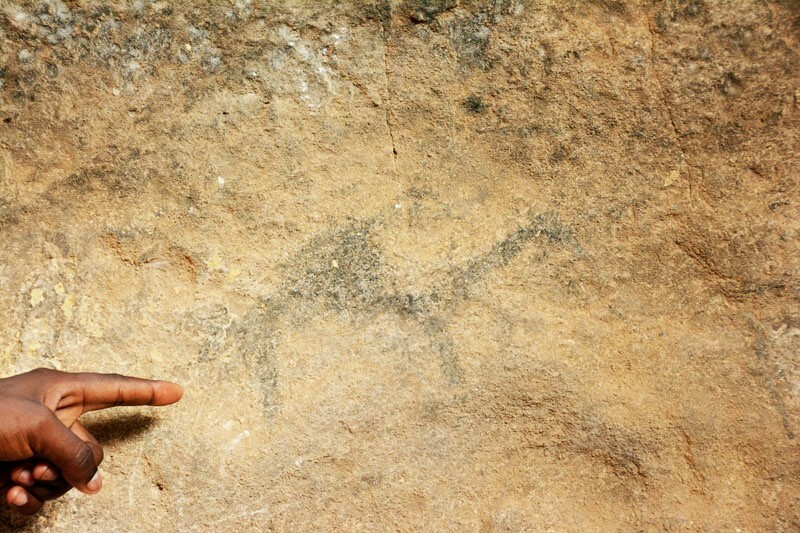 The most important Ethiopian engraving site is Sheppe in the Rift Valley near Lake Awasa. 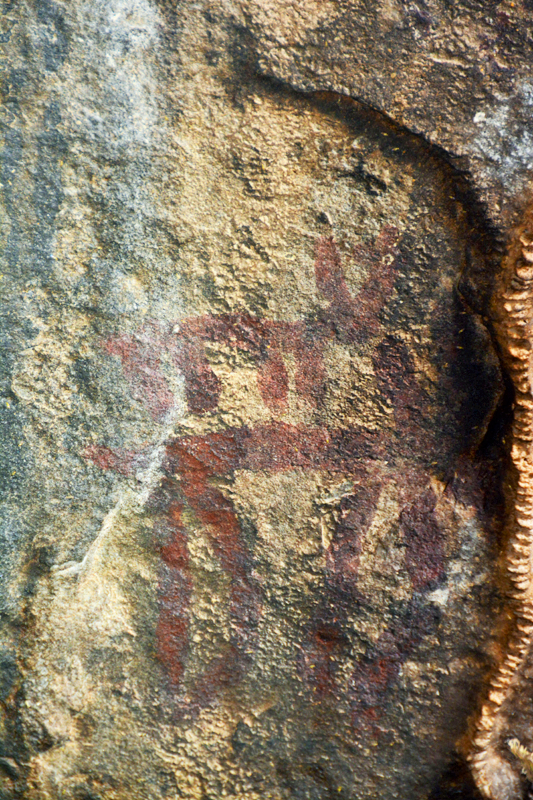 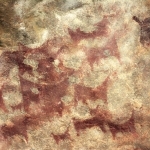 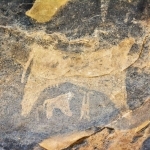 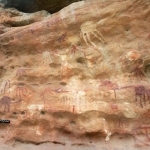 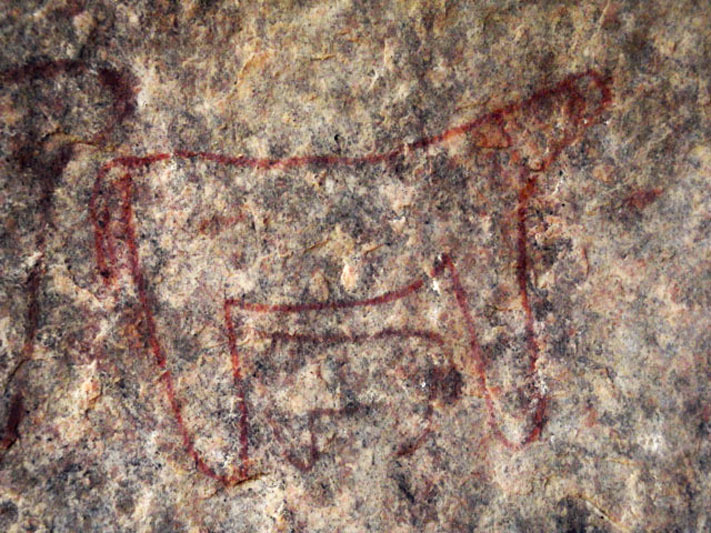 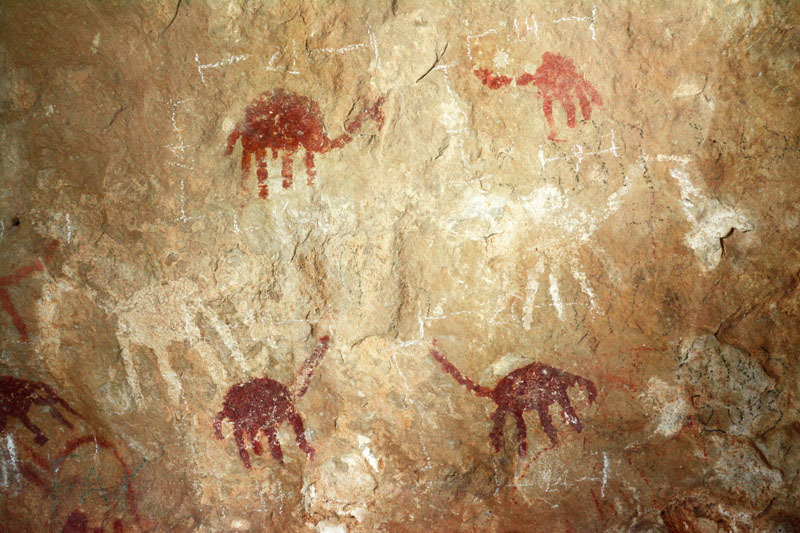 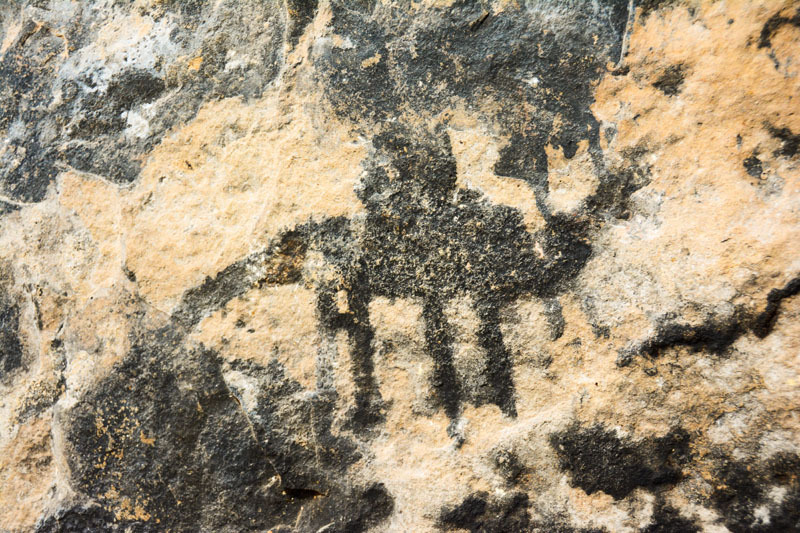 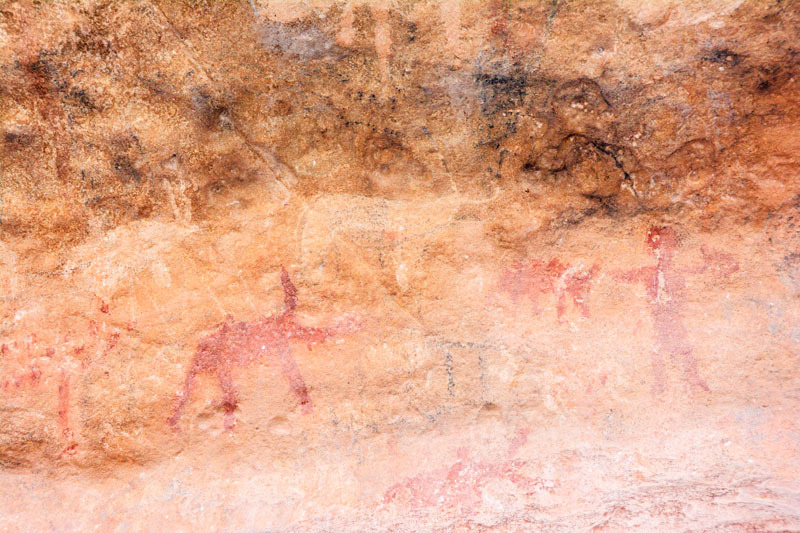 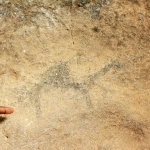 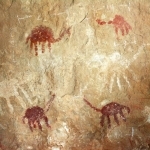 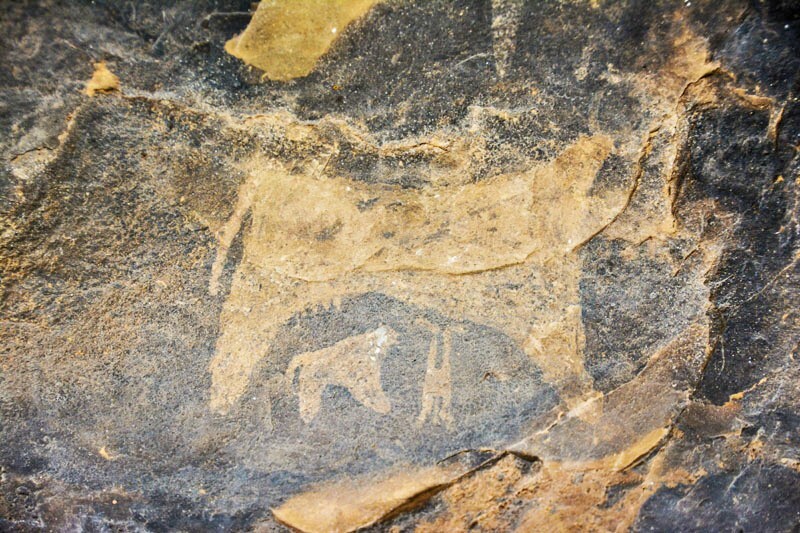 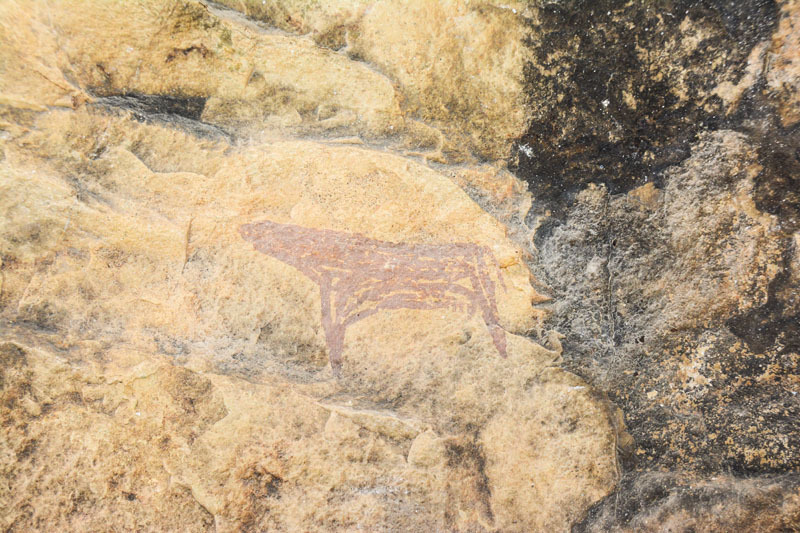 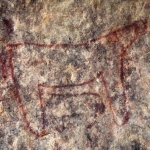 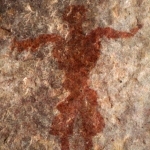 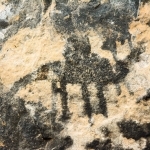 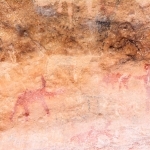 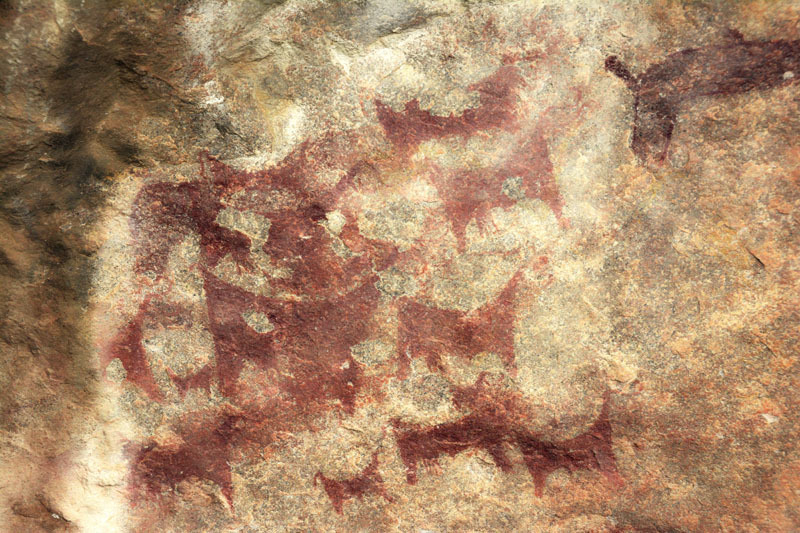 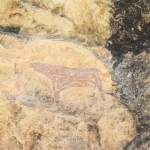 Here large numbers of stylised cattle are carved on the cliffs of a small gorge in bas relief. 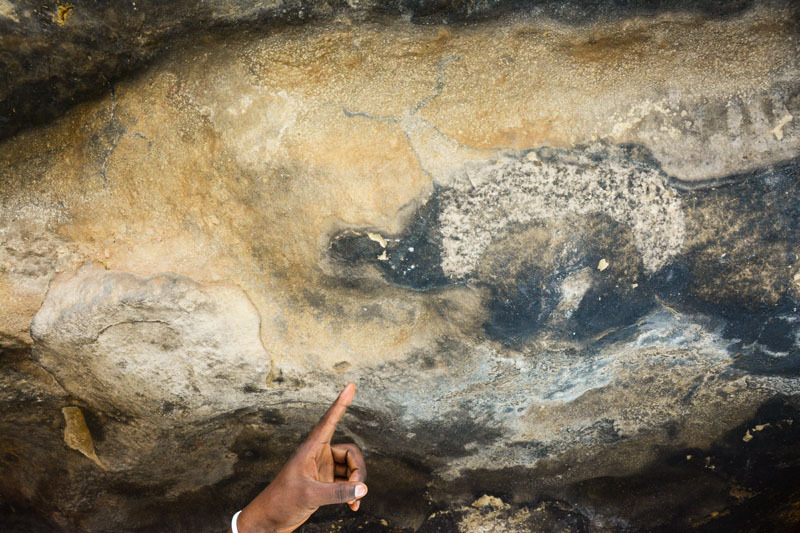 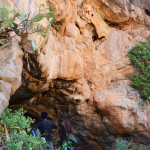 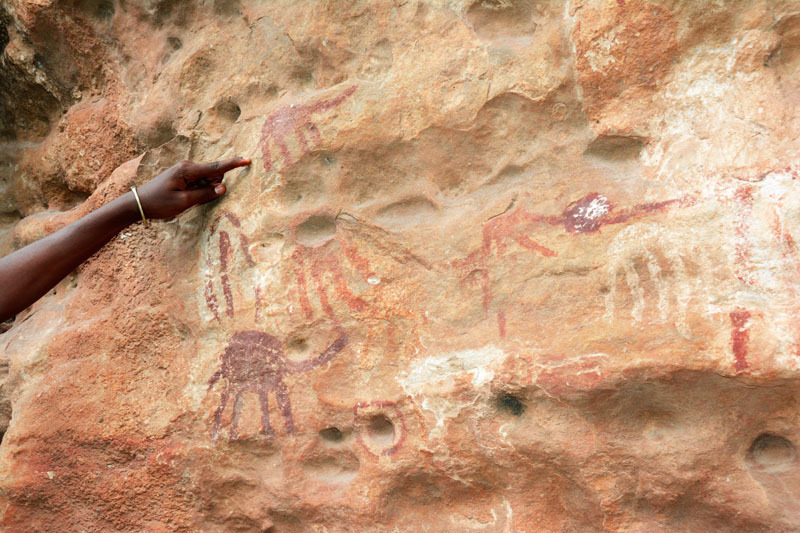 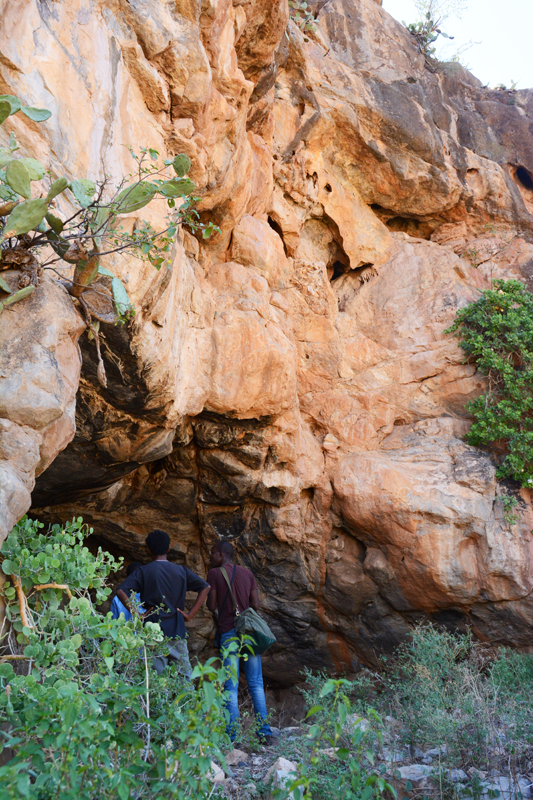 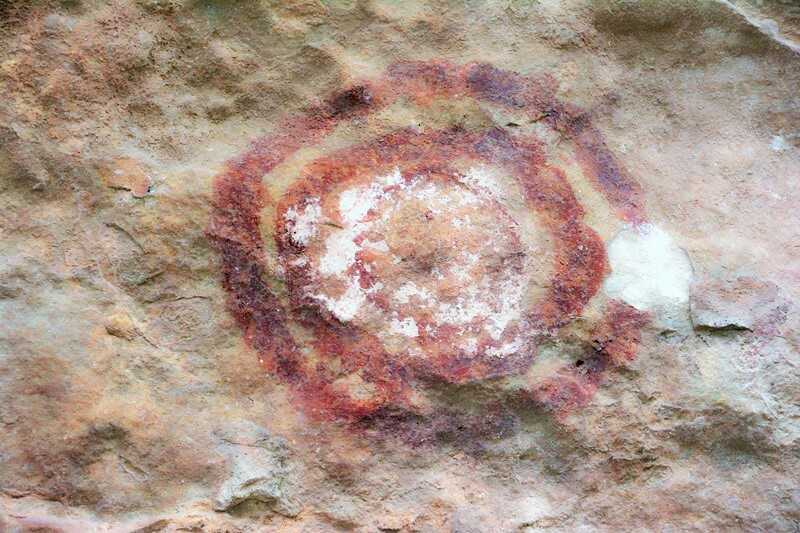 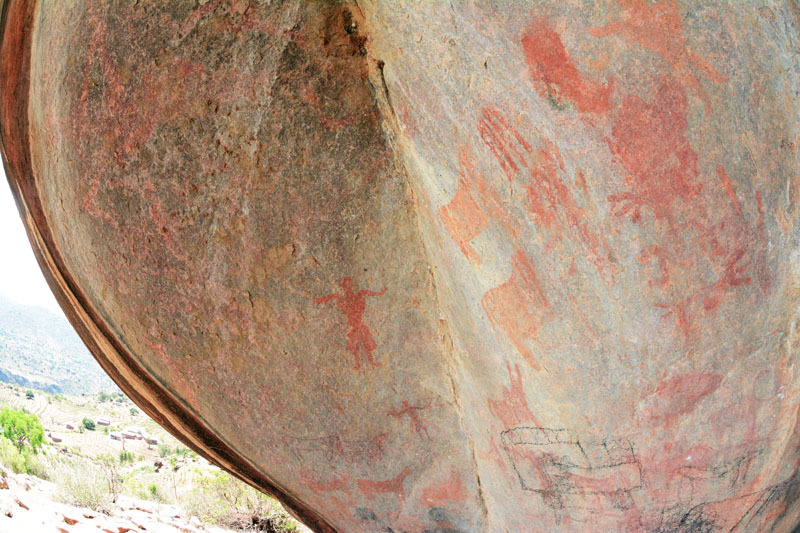 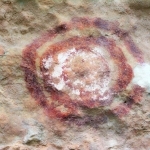 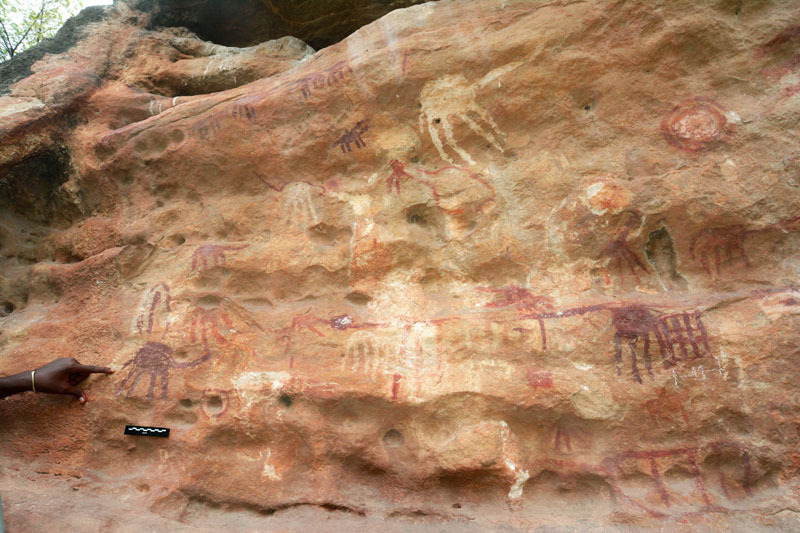 In north eastern Ethiopia are large numbers of painting sites, most of them virtually unknown in the outside world and in Tigre province are many other important painting sites.